The meeting of the Permanent Indus Commission (PIC) will take place nearly six months after New Delhi decided to suspend talks on the pact in the wake of the Uri terror attack. NEW DELHI: Parleys between India and Pakistan on various aspects of the Indus Waters Treaty (IWT) will be in Lahore on March 20 and March 21. The meeting of the Permanent Indus Commission (PIC) will take place nearly six months after New Delhi decided to suspend talks on the pact in the wake of the Uri terror attack by Pakistan-based outfits. The meeting is being held "as the IWT, 1960 makes it mandatory" to hold parleys under the accord at least once in a fiscal. India's Indus water commissioner and MEA officials will be part of the Indian delegation for the annual meeting. The last meeting of the PIC was held in May 2015 here. 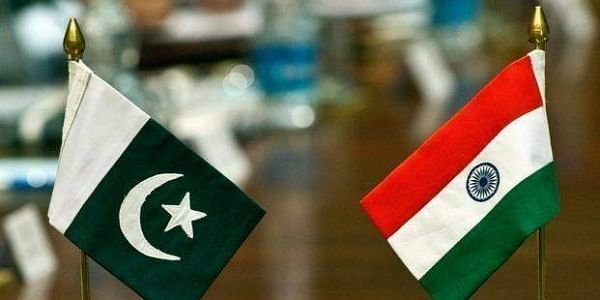 India had on Friday downplayed its participation in the upcoming meeting in Pakistan to discuss various aspects relating to sharing of Indus river water, saying it does not amount to resumption of government-level Indo-Pak talks. The dialogue was stalled following the terror strikes by Pakistan-based terror groups. Declaring that "blood and water cannot flow together", Prime Minister Narendra Modi had held a meeting in September to review the treaty in the backdrop of the terror strikes, including the Uri attack. After the meeting, officials had announced that the government has decided to suspend further talks and increase the utilisation of rivers flowing through Jammu and Kashmir to fully exercise India's rights under the pact. The commission, which has officials from both the countries as its members, was set up under the treaty to discuss and resolve issues relating to its implementation. It is mandated to meet alternately in India and Pakistan.